It’s been a long time since I was in a university classroom – way before there was such a thing as “women’s history”. I was excited to be taking a 6-week class called “Wonder Women” at SDSU in its adult education cent er. Like me, 32 students were “senior” gals and there was 1 token “senior” guy (looked like his wife brought him along). Unlike college, with everyone rushing in at the last minute, this crowd arrived a good 10 minutes early to drink their coffee and chat with their friends. A few minutes before starting time, our professor, Dr. Susan Cayleff, arrived. She too is an older gal – clad in black pants, shirt and vest with colorful native-American jewelry. Her dark shoulder length hair served as a distraction for her hands while she lectured – at times putting it behind her ears and occasionally up into a ponytail. Her Boston accent with its classic “ar” sounding like “aah” frequently required translation. What we find out, as she introduces herself, is that she is a Ph.D. in the Women’s Studies Department, a published author of a number of academic books, and the faculty adviser to the LBGTQ student organizations. (BTW, I learned that “q” has been added to the acronym to stand for “questioning”). What we would find out, over the course of 6 weeks, is that she is smart, funny, a great story-teller, non-judgmental and kind – an excellent combination for a teacher. The class covered 5 individual women and one couple who were firsts in their fields and standouts in women’s history. Enjoy and learn from their stories! 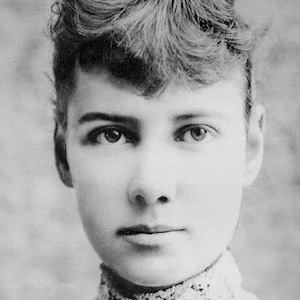 Born, Elizabeth Cochran, near Pittsburgh in 1864, Nellie Bly (her p en name) was one of the first investigative journalists – formerly called “muckrakers” (figuratively meaning exposing the world’s evils and literally meaning scooping up the poop). She came of age in the Progressive Era when photojournalism, a genre began by Jacob Riis, graphically portrayed the disparity between the rich and poor and gave rise to various reformist movements. Due to family poverty caused by her father’s early death, Nellie and her mother moved to the city to run a boarding house where she met young immigrant girls – many Polish and Irish girls who, considered the hardiest of immigrants, worked as domestics in wealthy households. AT 18, Nellie wrote an impassioned editorial rebuttal to an article written by Erasmus Wilson, titled, “What Girls Are Good For.” He wrote that girls are good for staying in the home and doing domestic tasks. He further wrote that working women were a monstrosity. Outraged, Nellie wrote an opinion editorial stating, “Someone has got to stand up and tell them what a girl is good for”. Soon thereafter she was hired by The Pittsburgh Dispatch where she wrote opinion pieces and detailed the lives of individuals and the plight of working class women – until she was transferred by the paper to cover traditional women’s matters such as fashion, gardening and society events so as not to raise such a ruckus. 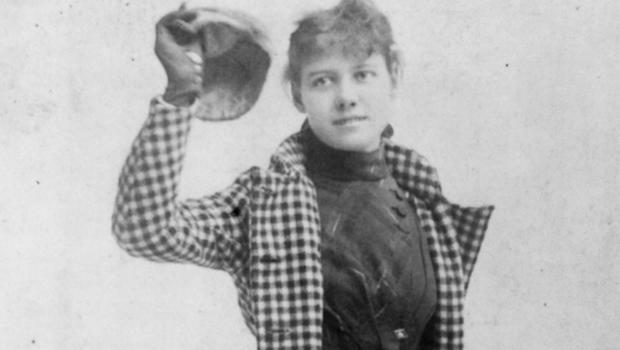 Bored with covering “women’s” articles, Nellie moved to New York where she talked her way into the office of Joseph Pulitzer who ran the New York World – landing a job as a journalist. One of her most noteworthy articles was “Ten Days in a Madhouse” – an expose on patient abuse and neglect that she wrote after going undercover as a catatonic/amnesiac patient. It is absolutely incredible to know that while undercover, Nellie was certified as insane by numerous doctors. It’s heartbreaking to read about the abuse the patients suffered – being made to sit for hours tied to wooden benches in filth, with rats rampant and inedible and insufficient food. Her story resulted in a grand jury investigation and significant improvement in the care of the mentally ill. When the Pullman railroad car workers in Chicago staged their big strike to protest a lowering of their wages at the same time their rent was increased in the “company town” housing in which they were required to reside, Nellie was the only reporter telling the strikers’ perspective. A multi-dimensional talent with a spirit of adventure, 25 year-old Nellie successfully pitched her editor to allow her to attempt to travel around the world in 72 days – to beat the 80 day record of the fictional Phileus Fogg in the popular Jules Verne novel. She succeeded in circumventing the globe in only 72 days all by herself – setting a world record and in the process becoming an international sensation and making loads of money for herself and the publication. At 31, Nellie married 73 year old, Robert Seaman, who was a wealthy manufacturer of steel containers. Nellie became the president of her husband’s company and one a very few women industrialists. Her career in business was successful until employee embezzlement caused the company to go bankrupt. Nellie then returned to reporting and wrote stories on Europe’s Eastern Front during WWI and on the Suffragette movement in the states. 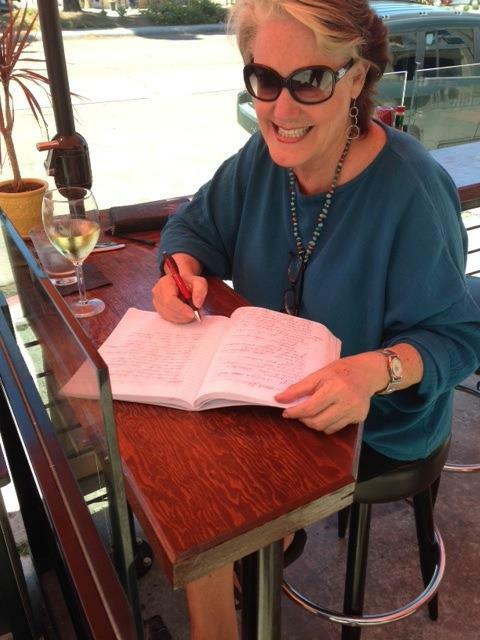 She was a pioneer woman journalist and an original investigative journalist. Her work exposed corruption and injustice. She was an adventurer and risk-taker. She was courageous and provided a role model for many to follow. First, it is important to understand that “investigative journalism” is deep reporting on a single topic – often taking months. Its reports are considered primary source. In researching contemporary women investigative journalists, I’m sorry to say that this profession is dominated by a 4 to 1 ratio of men to women. Also, since the cost of investigative journalism is high given the time it takes to research and write a report, it is disappearing from mainstream media. Moreover, since such media requires advertising revenue to survive and since these advertisers do not want exposes that might impact their bottom lines, this type of in depth reporting called “muckraking, investigative journalism, and watchdog journalism” is becoming less available in the media. Books are replacing media for today’s muckraking. Examples of such books by women authors are: Barbara Ehrenreich’s “Nickel and Dimed” – an expose on the working poor and Jane Mayer’s “The Dark Side – an expose on Bush’s questionable tactics of his war on terror. WE’VE COME A LONG WAY. . . . . . .BUT THE JOURNEY IS NOT OVER!